There are times when I come back from work and wonder “What will I blog about today?” Suddenly I feel I have nothing left to write and panic strikes me. Just the thought of running out of blog contents is one horrifying experience for me. But usually everything turns out all right when I reach home and read the comments on my current and previous posts (yeah, yeah… I do read my archived posts and comments), I get ideas and often inspiration to write my next post. But today here I am sitting cross legged with my lappy on my lap and staring blankly at one of the photos I took last week and I have nothing write about it!!! I have lot to share about this particular recipe which takes me down the memory lane whenever I cook it but I just can’t seem to put it into words. I can think about it but I simply can’t seem to write about it. Here is the recipe for Gujje Palya/Tender Jackfruit Stir Fry which is one of my childhood favourites. 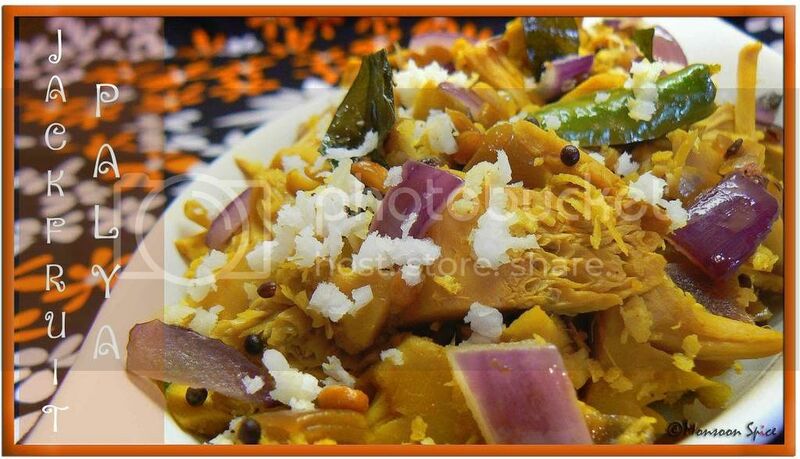 Gujje is a Tulu word for Tender Jackfruit which is often used in South Canara in cooking savoury dishes. My all time favourite is Gujje Kodhel and Gujje Palya. Me and my siblings would always end up having competition as who got highest number of ‘eyes’ which are nothing but tender jackfruit seeds. This stir fry is one of best example of delicious Udupi-Mangalorean cuisine as very ingredients are used to bring out the true taste of this sticky vegetable/fruit. 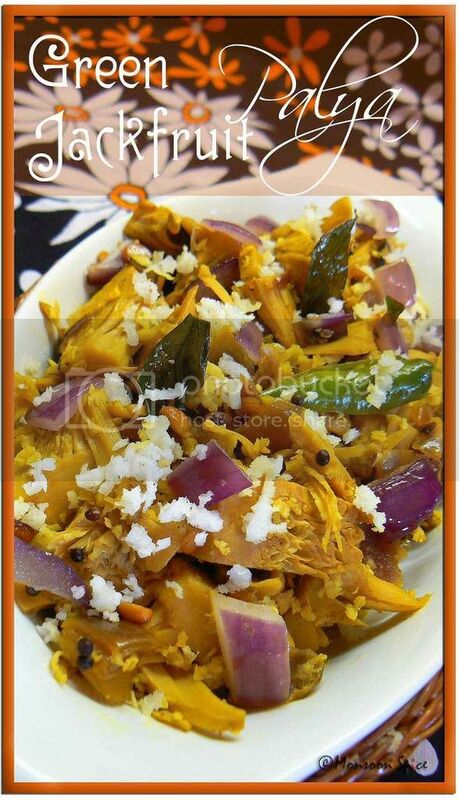 This almost bland tasting tender jackfruit transforms into delicious side dish or simple snack when cooked with crunchy red onion with enough heat from green chillies. I used canned tender Jackfruits here which tasted really good but it tastes best when cooked with fresh ones. Chop washed canned young jackfruit pieces into small pieces (about ½ cm slices) and keep them aside. If using fresh ones, then cut them into big chunks and cook them covered with little salt , turmeic powder, tamarind pulp, jaggery and 1-1½ cup of water till tender. It will take around 10-15 mins if using pressure cooker and little longer if cooking in a vessel. Once they are cooked and cool enough to handle, cut them into ½ cm slices and keep aside. Heat oil in a pan and add mustard seeds. When they start to pop and splutter, add channa dal, urad dal, broken red chillies and hing. Sauté it till dals turn golden brown. Now add chopped onions, curry leaves and slit green chillies. Sauté it for a minute or two till onion turn transluscent. Now add chopped tender jackfruit, turmeric powder, jaggery and salt to taste and mix well. Add ½ cup of water and cover and cook for about 10-12 mins till all the flavours blend well and jack fruit is cooked properly. Make sure to check in between so that the Palya doesn’t stick to the bottom of pan. Cook uncovered for another 2-3 minutes till all the water is evaporated. Switch off the gas and mix in fresh/frozen coconut. Serve it hot with Rosematta Rice or any rice of your choice or Chapatti or simply serve it as a snack and enjoy. Your recipes and posts are so.....evocative & nostalagic, that's what I like best about your blog. Inspite of having a writer's block, you've managed to write a lengthy preface :D And sweetie that's a nice way of asking everyone to praise you ;P Ok, I'll run before you hit me now!!! Never tasted jackfruit curry , it is sweet & spicy ? Long time reader/lurker. First time to comment. Since you've asked for some ego-boosting :), here's my 2 cents. 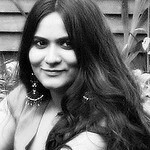 I like hanging out in your blog cos its pleasing to the eye(pics are always very eyecatching), you have some interesting prefaces, little stories to tell, nostalgic tidbits(its not just all about the recipe), great presentation of said food/recipe, you always make it a point to share a little bit about yourself, who you are, where you're from, what you do.....hm yes sum total of all the above. About me, I am no food blogger for sure. I am a mediocre foodie at best. I typify the "jack of all trades, master of none". Thats it from me, do serve me all this eye candy, I do try some of your recipes. Do try to make it a point to leave some feedback. Gujje palyalooks so wonderful. and you think that it is not "bloggable" ??? why being so unkind to all of us Sia . Keep sharing all your traditional dishes ,I just love it. It's been very long since I visited any blog. So great to see your blog and getting back my inspiration to cook and blog something. Good recipe, I heard recently that Jack Fruit has huge amounts of protein which is very very good for vegetarians. I will try this soon and will let you know. 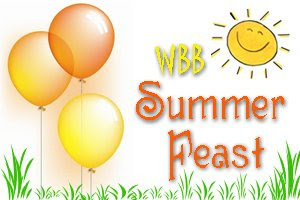 By the way, when will you be publishing the round up for the MBP-Street Food? Then, your sense of humour, and your photos. Even I am terrified of running out of stuff for blog posts, btw. Just the other day, I heard someone speak a language I'd never heard before, and when I asked them what it was, they said it was Tulu. It sounded South Indian, but not like any other S Indian language I had heard. Jeegujje is very different from baby green Jackfruit, as in Halasinakai, right? I used to love Jeegujje my mom used to in Bantwal. Don't see those much in B'lore, never here!! 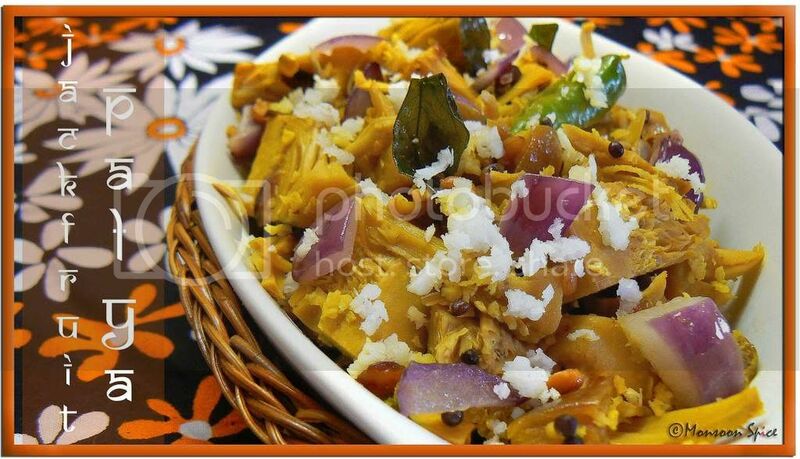 Loved the palya recipe...i love jackfruit! I love all your authentic recipes...so easy and so delicious! Sia, are you for real?? The reason that I love coming back for more is that you have delicious recipes, your pics are stunning and I love your writing style!! You have a really awesome blog, girl! i guess we all visit each other's blogs to get some inspiration for our daily cooking ;) something new to try! Palya looks delicious, Sup! As to why I love to visit your blog, lots of reasons! Apart from the fact that i think you're a friend & therefore, would visit your blog anyway, you have good food & great photography here. I don't see "same old, same old" kinda recipes in your blog, so that I find very interesting. I confess I don't always read through the preamble, mainly depending on my frame of mind & the amount of time I have. But ones that I have read (and you write well, btw) also resonate with me - whether you remembering your childhood days or writing about customs that are/were followed, all make for a nice read. Gujje palya looks so yum !! My mother cooks it very well, i love its smell specialy, gujje kadle gashi :)!! We dont get gujje here :(!! I'm going on vacation to india mid of this month :)!! So i vil b on break for one and half month !! Hey sia this is not fair ok.. i dont get tender jcks here and i love tender jack and this time i ate only once..when i went to native..palya looks yumm.. i dont add onion to it..
Y do u think this is not "boggable" it is .. and i love monsoon spice for its recipes pics, the rants ur writing and its very good site and ofcourse how can i forget that u inspired me for blooging.. great going! this stir fry is quite mild and kids(especially kids like me) love it. its good to see u sweetie:) hw have u been? i am working on the MBP round-up. hopefully i should be able to post it this weekend:) so stay tuned. tulu is spoken language in udupi, mangalore and also in kasaragod dist. all shetty and rai's of movie industry belong to this community(bunts). it is said that tulu even has a script which is similar to malayalam. i feel it has few words from kannada and malayalam. so no wonder it sounded like some south indian language:) u can fine more info abt it here. yes... u r right. jeegujje is bread fruit and gujje is young jackfruit. the look and taste different. gujje is fiberous where as jeegujje has smooth texture. what??? u don't read my rants!!! how could u missy? he he he..
thanks my dear for being part of my life and being such a wonderful friend:) i really appreciate it a lot. have u checked it in any asian stores? u get them in cans. i get a brand named Chaokoh. really? so the angles from which i take pic is more interesting hah? now this is something new:) thanks my dear..
nope, not the recipe. i am talking of preface to posts which sometimes r not bloggable:) and thank u for ur kind words. hey Sia, for the mouth-watering pics and the excellent recipes on ur blog, I've something for u on my blog! :-)Come and accept it! As everyone has said, your writer's block seems to be something everyone can wish for. Lovely recipe with such clear great pics. Jackfruit is something that I am yet to try out recipes with. Your recipe is inspiring. Hi Sia...I always visit your blog.You have great recipes and mouth watering pics...Are you from Mangalore?I tried gujje palya..It turned out very tasty.